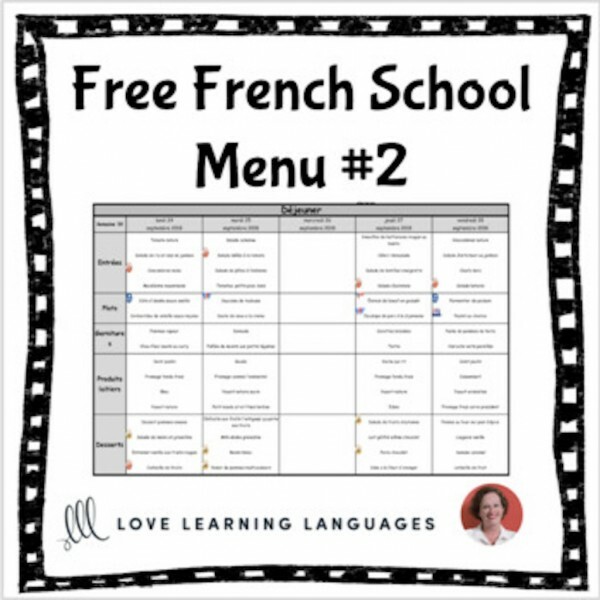 Have a look at what's on the menu at my kids' school in France. Cheese every day!! I'll be adding more menus weekly as I receive them. There are so many things a French teacher could do with these in class. It would be a fun cultural study to look up images of some of these menu items to show students what they look like and if they eat anything similar at their schools or homes. This could lead to a discussion on the length of time French students typically have to eat and rest as compared to students and teachers in your school. French Primary Valentine's Day Resource BUNDLE - La Saint Valentin This French reso..
French Valentine's Day Sudoku Puzzles - La Saint Valentin Use these sudoku games to prac.. Play this French Saint Valentin Taboo game and have some fun! Playing games and having fun is when l..
French Valentine's Day Scattergories Game - La Saint Valentin This is a really fun activity t..
Use these insightful and thought provoking question cards to trigger great discussions among your st..
French Halloween Jeopardy Game - Halloween Français This is a powerpoint version that I&rs..
30 French Speaking Prompts -Les sports d'hiver et d'été - French Sports Vocabu..
✐ Le Paragraphe de la Semaine - 10 week primary French writing program ✐ This ten week ..